How do you measure success? We know that every agronomic decision has an economic impact. We’re not only about higher yields but the highest most profitable yields. We don’t use statewide average costs, we use your actual cost to determine your breakeven cost per bushel. We are an extension of your farm, our advisors know and treat you like family, learning each year together. How do you determine your return on investment? Do you calculate your breakeven cost per bushel? To do this you need to locate, organize and gather all of your invoices and data. That’s where we help. We have advisors that make it easy for you. Our tools find your breakeven cost per bushel, because we’re not only about higher yields but rather the highest most profitable yields. 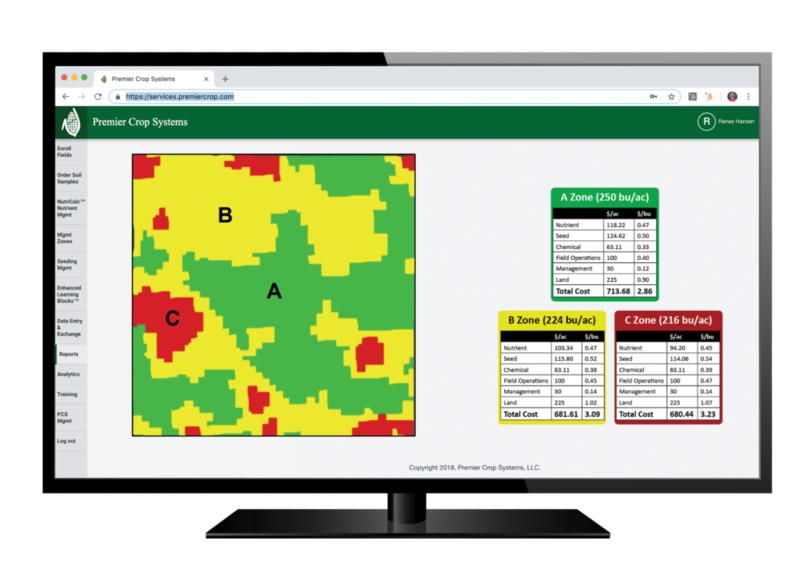 When it comes to using your equipment technology and data to make better decisions, you could be taking an extra $50 to $100 an acre to the bank. We developed economic cost tracking to determine your breakeven cost per bushel for each part of your field. Once you can determine where you are maximizing your profits, you can invest more in high performing areas of your field and less in low performing areas.